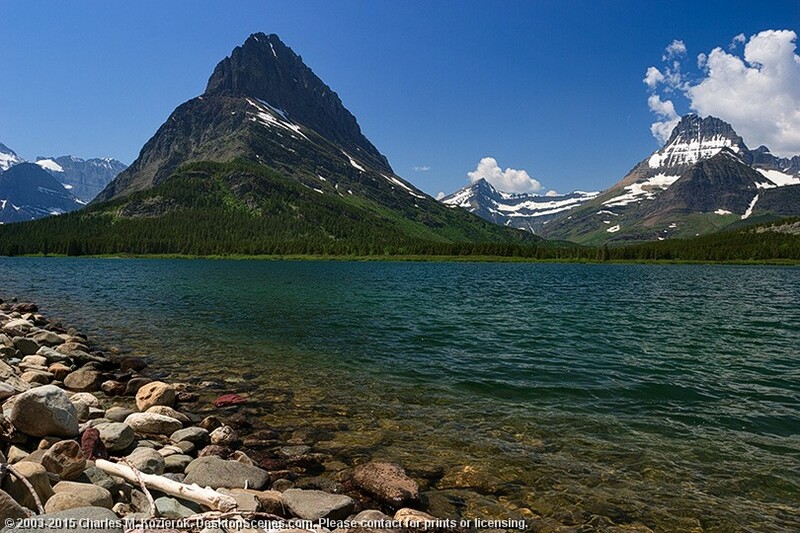 A warm mid-day scene from the shores of Swiftcurrent Lake, taken just below the famous Many Glacier Hotel. The pyramid-shaped mountain on the left is Mount Grinnell, a name it shares with a lake and a glacier not visible from this angle. Mount Wilbur can be seen further off on the right. Incidentally, the water is much colder than it looks!